China Town Market is back this weekend at ZEN GARDEN! It’s back! Hurrah, cue the Chinese music! 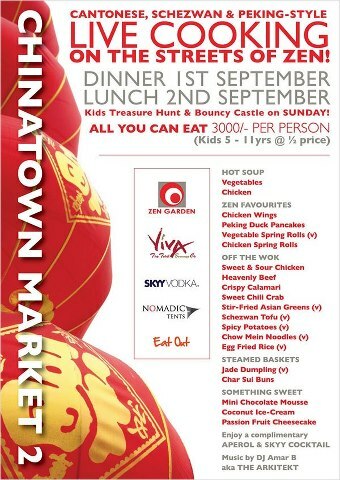 The 2012 China Town Market will be hosted at Zen Garden on Saturday 1st & Sunday 2nd September. Zen Garden’s beautiful gardens and terraces will be transformed into live cooking stations serving up some gastronomic delights, where diners can interact with chefs & customize dishes according to their preference. I hear their Bamboo kitchen team will be cooking hot noodles, soups, dumplings, & wok favorites throughout the day. Guests can come in and eat as much as they like for 3000/- only. The food market will be open for dinner on the 1st of September and again for lunch on the 2nd of September 2012. There will be entertainment for the kids throughout the day, as well as a live band for all to enjoy! 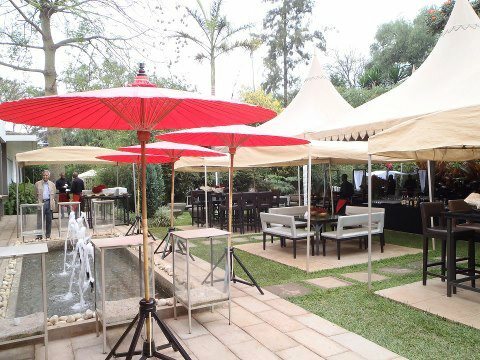 As with all things Zen, this is going to be a spectacular & unique event in Nairobi!